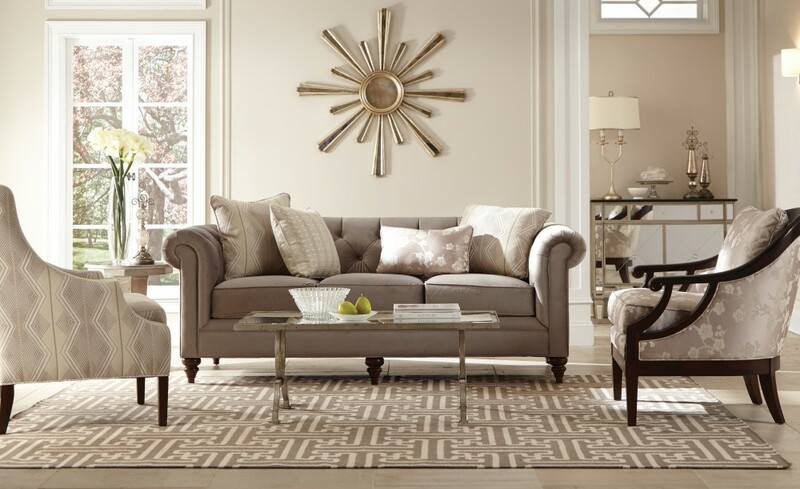 Casual luxury and sophisticated styling meld together to bring a modern update to the classic Holcombe sofa. It features handcrafted elements like the tall turned legs, as well as a unique assortment of 4 toss pillows for a custom look. 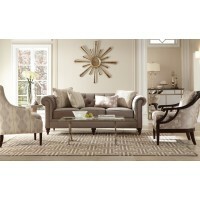 Comfort is key with deep tufting on the back and arms and three plush Comfort Soft cushions. 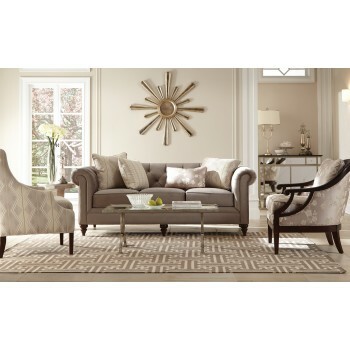 Sofa: W88" x D39" x H34"
Accent Chair: W30" x D35" x H38"
Wooden Arm Chair: W29" x D34" x H44"